Peavey Electronics and leading iPhone applications developer Agile Partners have joined forces to launch AmpKit, an unparalleled guitar amp and effects iPhone application, and AmpKit LiNK, a high fidelity audio interface for the iPhone, iPod touch* and iPad. Together, AmpKit and AmpKit LiNK provide musicians of all skill levels with a powerful and convenient way to jam with high quality tones anytime and anywhere. The AmpKit LiNK audio interface raises the audio fidelity bar for the iPhone platform. AmpKit LiNK is an iPhone, iPod touch* and iPad interface for electric guitar, bass, or any line level source, with an output that can be connected to headphones, powered speakers or a PA. Unlike unpowered guitar interfaces that suffer from feedback when using headphones, AmpKit Link is a powered device with circuitry that virtually eliminates feedback. 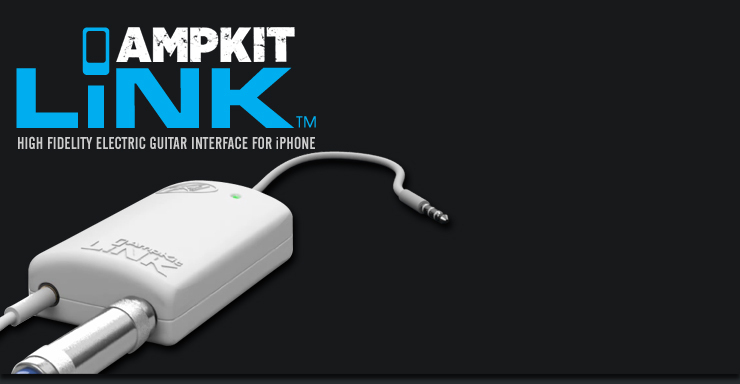 AmpKit Link is the first guitar interface that was specifically designed to provide solutions for the iPhone platform. The interface can be used with any recording, processing, or tuning application, including Agile Partner’s GuitarToolkit, one of the highest-rated applications in the iTunes App Store. The AmpKit LiNK guitar interface is available from the Peavey online store as well as from dealers, distributors and retail stores worldwide.